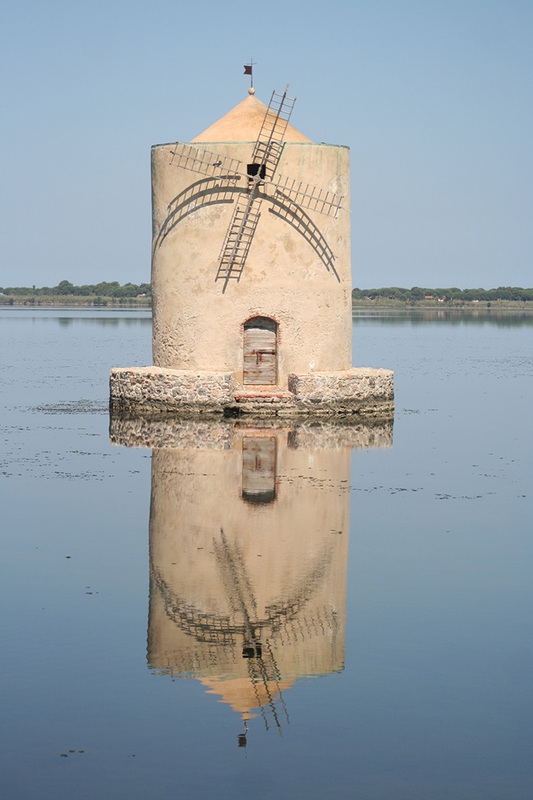 One of the symbols of Orbetello, the Spanish Mill is the only windmill left of the series of nine, built by the Sienese who were lords of the city between the 1400s and the mid-1500s. 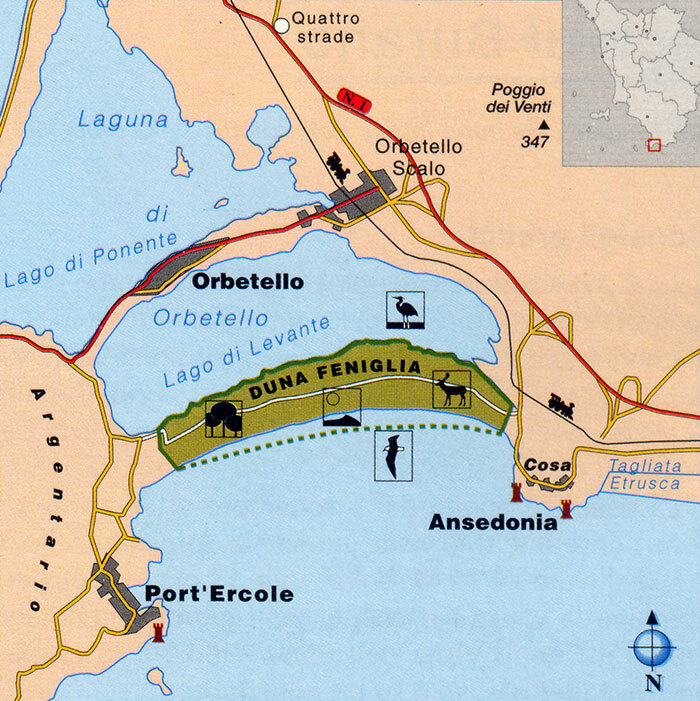 In 1557, the Kingdom of Naples took control over the region and by order of Philip II the Spanish created the Stato dei Presídi (the State of Presides), a small kingdom that covered most of the Argentario Coast. During the almost two centuries of Spanish rule, the mills were restored, strengthened, and converted with new sails that could exploit the winds. 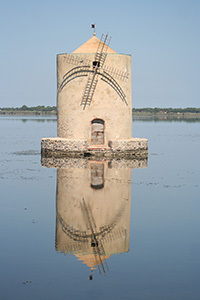 By constructing the mills in the water of lago di Ponente, the Sienese, and later the Spaniards, were able to exploit both wind power and hydraulics. The mills were used to grind wheat for the people who lived in the cit. 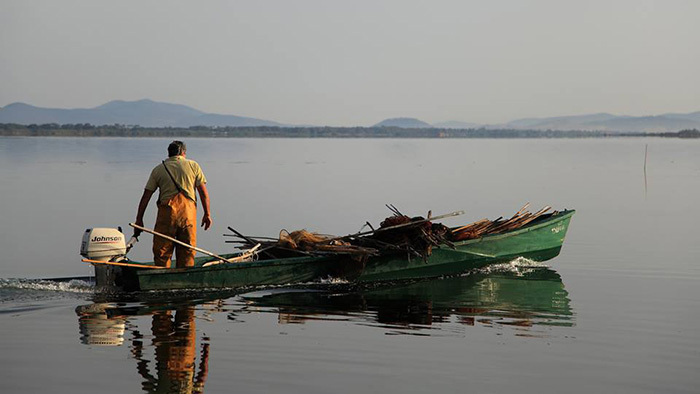 ,Wheat flour, on which the people and soldiers of Orbetello depended for their life, was then transported to dry land on typical small boats called barchini. So the citizens could be self sufficient in case the garrison was occupied by hostile forces. Most Spanish windmills, like those described in Cervantes's Don Quixote, can be found in the province of Castilla-La Mancha in central Spain. The best examples of restored Spanish windmills may be found in Consuegra where several mills spike the hill just outside of town, giving us a spectacular view of the 12th-century castle and of the town. 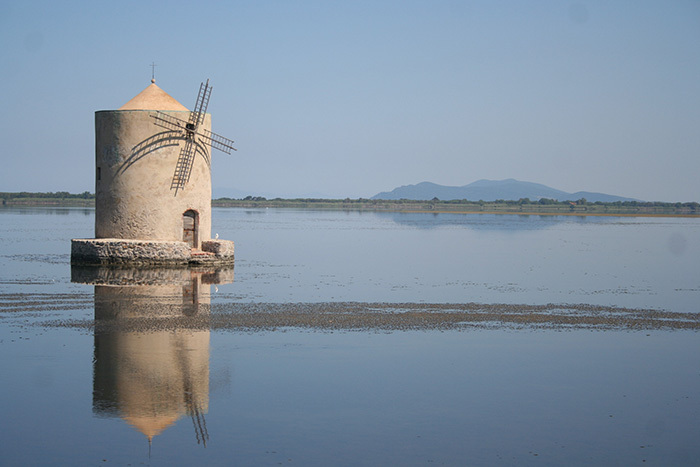 Apart from the one in Orbetello, windmills are also located in Mota del Cuervo, Tomelloso, and Campo de Criptana.